Home . Publications . Stop Politicians from Practicing Medicine! On Saturday June 9, 2018, a courageous and holy bishop celebrated his 95th birthday. How could we forget that three years ago we were graced with his presence at our Raleigh workshop on palliative care entitled Restoring Traditional Medicine? Bishop Emeritus Rene Henry Gracida gave the keynote presentation entitled The Cultural Virus of Proportionalism after Mass that day on the Feast of St. Benedict. His talk laid the foundation for other presentations about the new field of palliative medicine. You can read Bishop Gracida’s blog about the Raleigh event and watch a video of the talk here. Ione Whitlock, a brilliant researcher/expert on end-of-life issues, summarized what we are dealing with. Her presentation is about the “moderate” wing of the euthanasia movement or the Third Path which builds its strategies on a redefinition of the old model of palliative care. The Third Path is not about physician-assisted suicide, not about good traditional healthcare, but something in between. Ione’s talk was entitled Ethical Palliative Care in the Age of Health Reform: What Are the Odds? You can read the text version at burtonsys.com/old/lifetree/Ione_Whitlock_2015-07-11_Raleigh_lecture.pdf. 6) universities/teaching hospitals and professional groups. “There is the possibility of life-protecting treatment,” says Ione, “but more likely the system is rigged against you.” In fact, the grassroots coalition to promote palliative care, the Coalition to Transform Advance Care (C-TAC), wants to refer patients to a “palliative consult” at the onset of any chronic condition as part of chronic care! In a recent e-mail I wrote about the need to stop passage of S.693/H.R.1676 known as the Palliative Care Education and Training Act. This is a Trojan Horse bill because either people are simply not informed or they have bought into the lobbyists’ lies about today’s palliative care. The Patient Quality of Life Coalition is a lobby group of organizations who is pushing for this bill. You will be shocked to learn who the Coalition members are. See patientqualityoflife.org/wp-content/uploads/2016/10/PQLC-OnePager_2016-wMembers.pdf. H.R.1676 passed in the House of Representatives without a single vote against it on July 23, 2018. It is presently in the Health, Education, Labor and Pensions Committee of the Senate (HELP) for consideration. That was a month ago. Unfortunately, the deck is stacked against us in the Senate HELP Committee! S.693/H.R.1676 will give $15 million annually for development of faculty careers in academic palliative medicine, increase the number of trained palliative professionals (including physicians, physician assistants, nurses, NPs, social workers, and chaplains), promote education and research in palliative care and hospice, direct the secretary of Health and Human Services to educate the public and health professionals about the need for and value of palliative care, and instruct the National Institutes of Health director to give priority to research programs in palliative care and quality-of-life measures. Unfortunately, you should know that the USCCB and the Catholic Health Association wrote a letter on August 6 to the leaders of the HELP Committee expressing support for this bill. See usccb.org/issues-and-action/human-life-and-dignity/health-care/upload/Joint-USCCB-and-CHA-letter-in-support-of-Senate-Palliative-Care-legislation-S-693-2018-08-06.pdf. 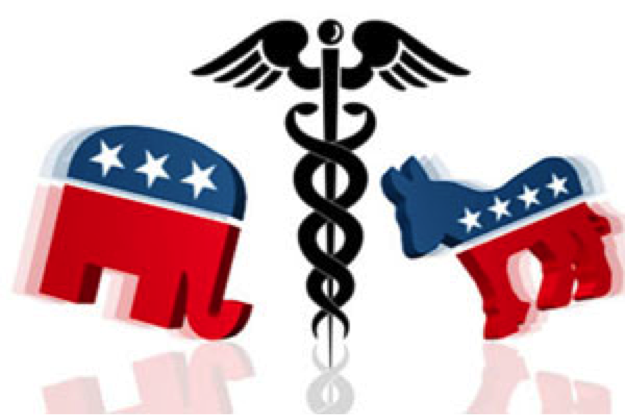 Do we want healthcare decisions guided by the virus of proportionalism? No! We can be successful in killing this bill with Divine intervention! What can you do? Please send this e-mail to your friends, family, and coworkers. Ask people to call as many US senators as possible. Suggest that they speak to their senator’s legislative person on health issues about S.693/H.R.1676. You can find a full list of Senate members at senate.gov/general/contact_information/senators_cfm.cfm. Among others, I believe Sens. Scott of SC, Paul of KY, Roberts of KS, Young of IN, and Burr of NC on the HELP Committee may be helpful. I know some of you have been on the phones to Washington already and we thank you! We pray to the Immaculate Heart of Mary and to St. Joseph that people see the value in each and every human being and that no one’s death is ever hastened. Dr. Elizabeth Wickham is president and founder of LifeTree, located in North Carolina.